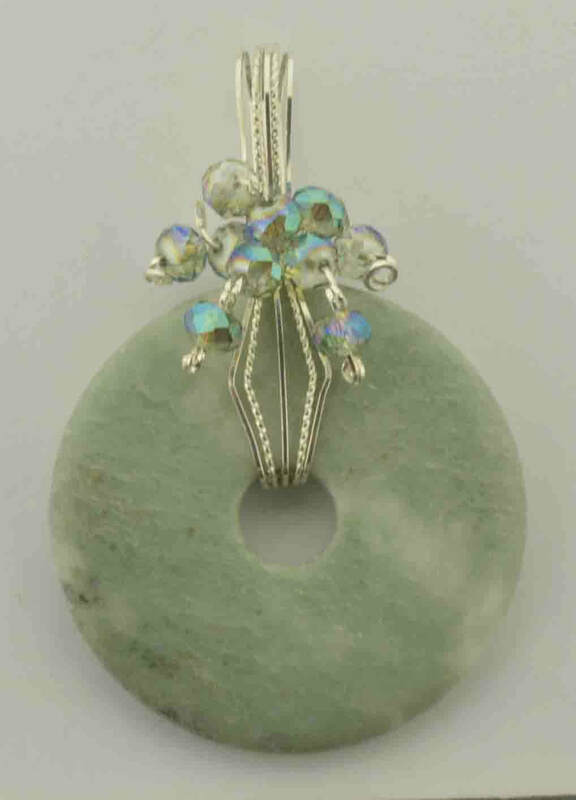 Precious and semi-precious gemstones are expertly cut and polished to create these beautiful pendants. They are then wrapped in either 14kt gold-filled wire or Sterling Silver. 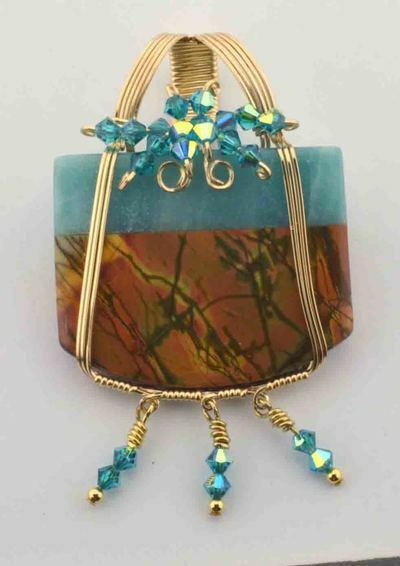 Many designs include Swarovski Elements or Sterling Silver or gold-filled beads. The designs are unique, unusual, and beautiful. 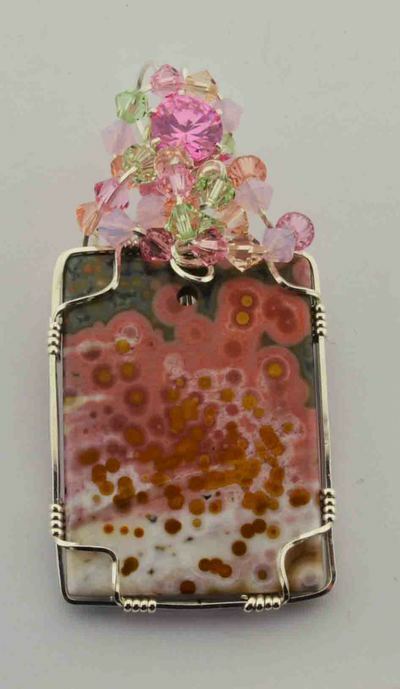 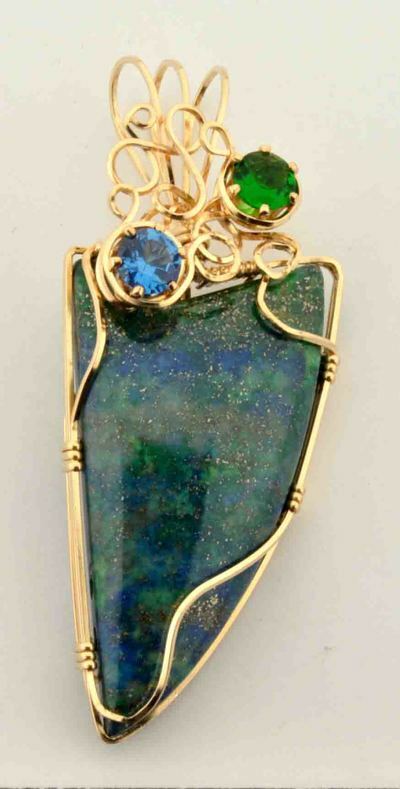 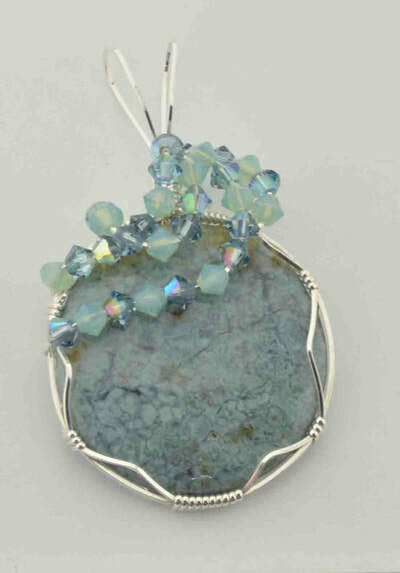 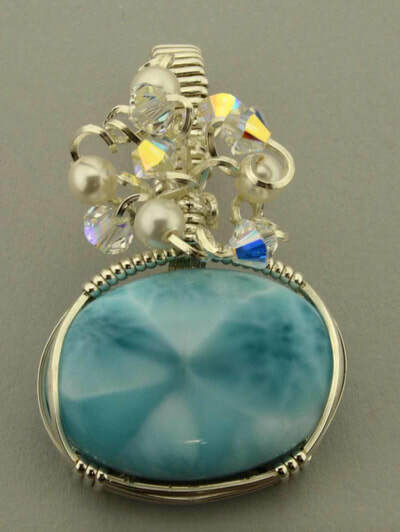 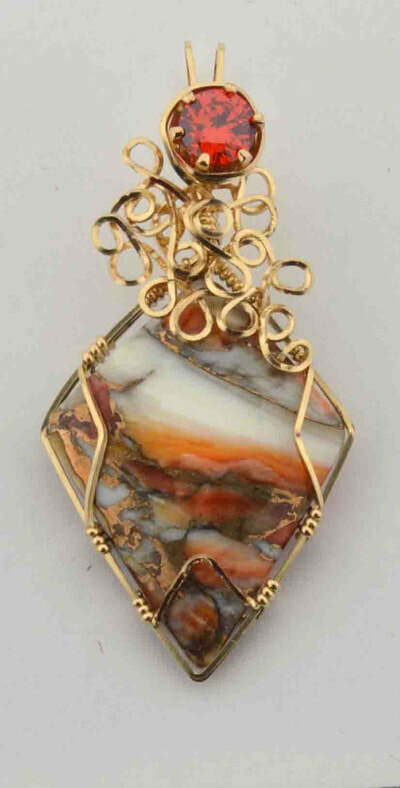 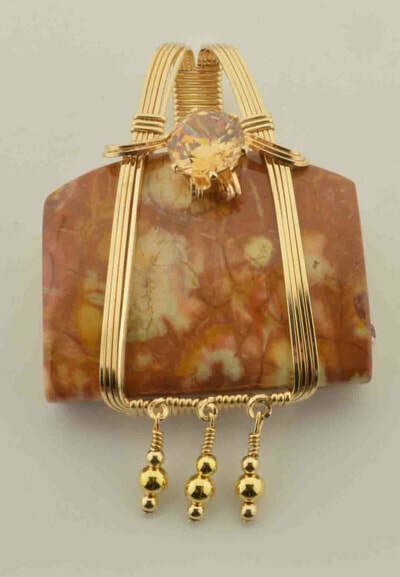 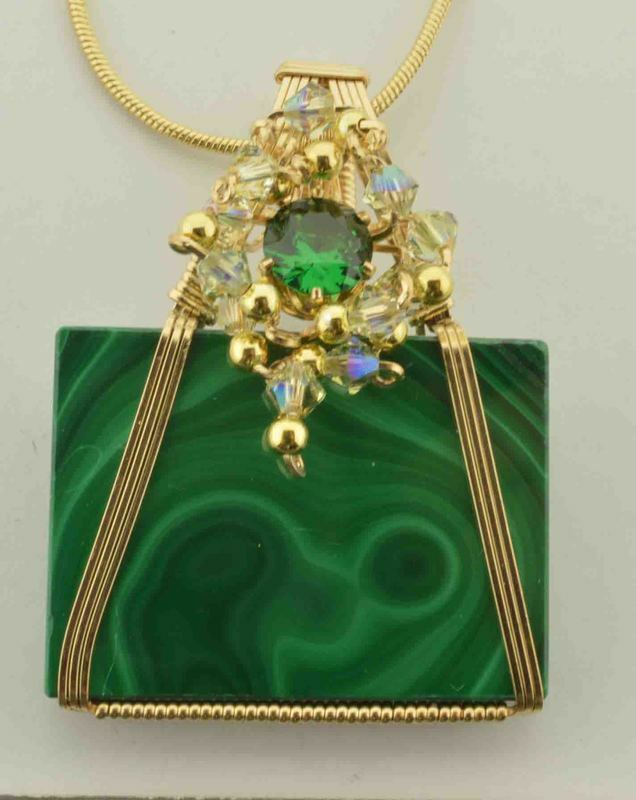 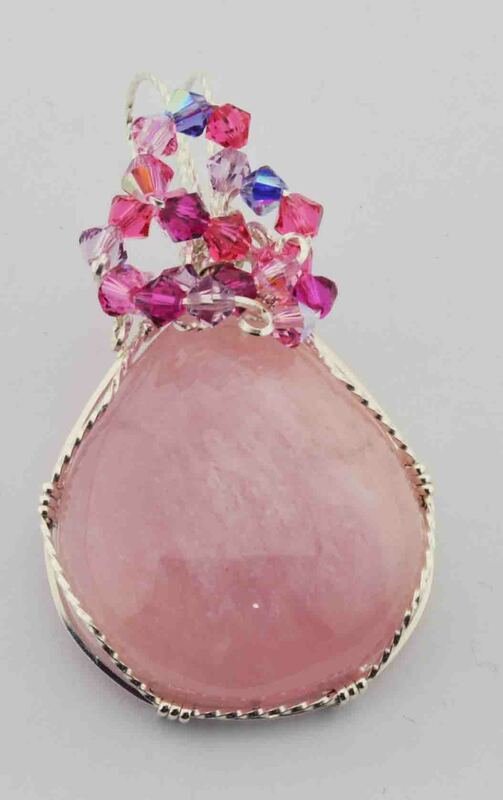 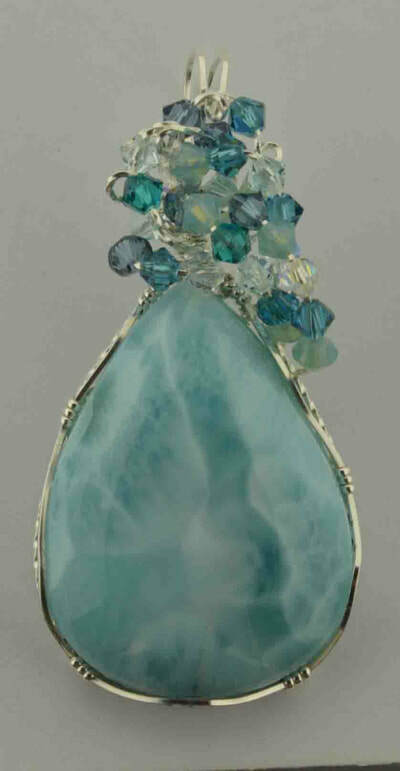 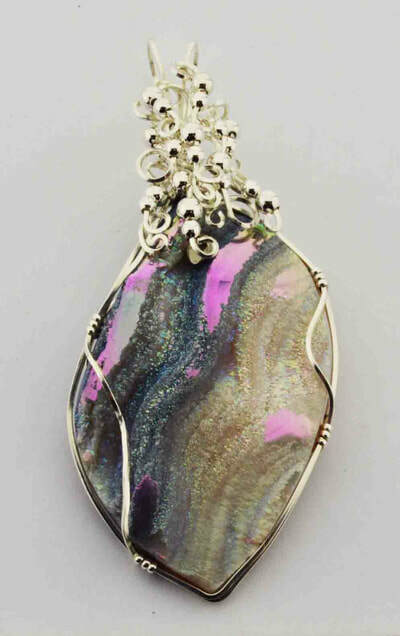 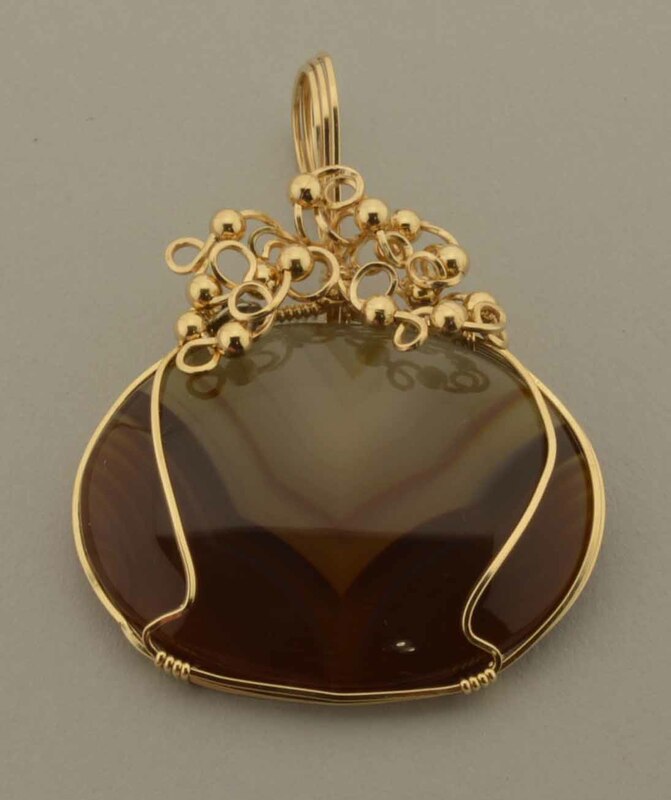 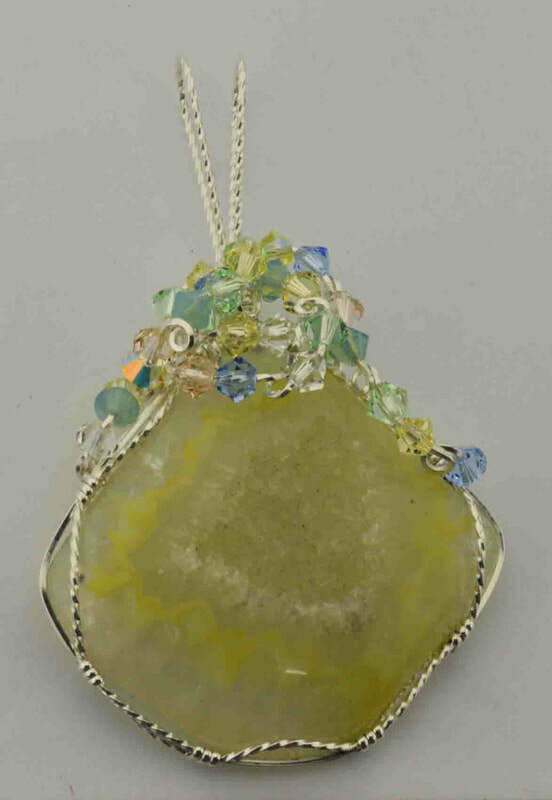 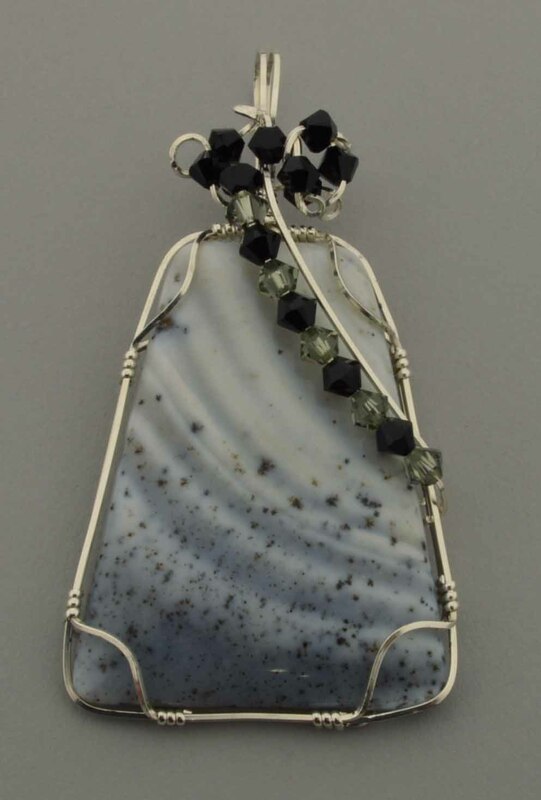 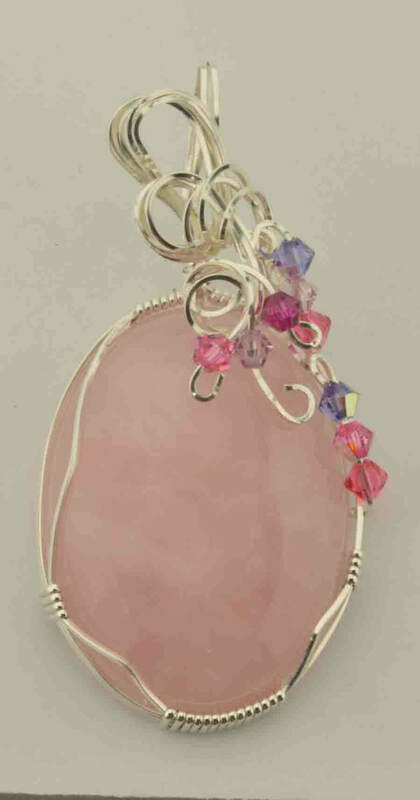 Also see "Faceted Gemstone Pendants."